Maesmawr Farm Resort is a hidden gem in the heart of mystical Mid Wales, so if you’re looking for a slice of escapism then look no further – this is the perfect resort to restore and rejuvenate your senses in the gentle countryside of Montgomeryshire. Quietly situated near to the River Severn and extending to over 27 acres, the resort is surrounded by stunning rolling hillsides and marvellous, uninterrupted 360 degree views. 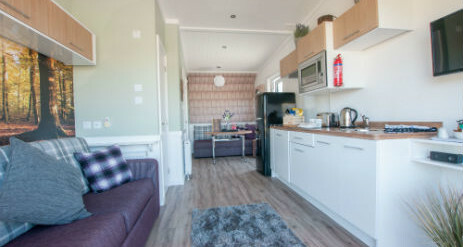 The cute local village of Caersws is just a short walk away offering a range of facilities, as well as access to the famous ‘Severn Valley Way’ river path. Nearby, visit gorgeous quaint local villages with their black and white timbered Tudor buildings, the grandeur of Powys Castle or discover the heritage of Gregynog Hall. The area holds a treasure box of delights too for nature lovers and explorers – mountain biking, fishing clay pigeon shooting, walking and rambling are all to be found on your doorstep. Or simply sit back, soak in the tranquillity and gaze at the dark night sky whilst relaxing in your luxurious private hot-tub…..
After a busy day exploring the local area or enjoying one of the many activities on your doorstep, what better place to return to than your very own luxury lodge or safari tent in this perfect spot in the heart of simply glorious countryside? 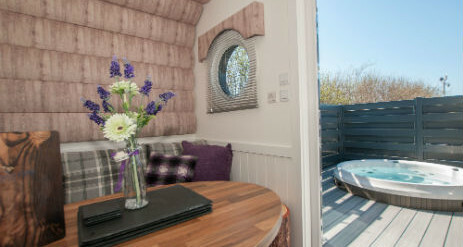 Our Lodges offer something for everyone – whether in a cute and cosy ‘Studio Pod’ – great for couples or small families, providing 2 double sofa beds, with fully sprung mattresses, and made up with luxurious bed linen, super warm duvets and cosy throws – a great night’s sleep awaits! Get fully refreshed in your private bathroom, complete with power-shower and abundant hot water. 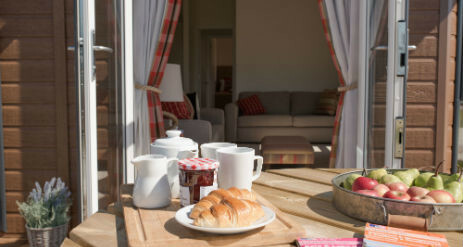 Enjoy an al-fresco breakfast from your fully equipped kitchen on your spacious decking with fragrant potted herbs and get ready for the day ahead. 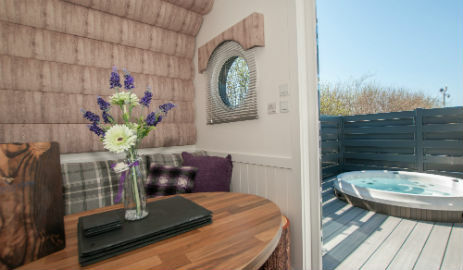 Larger lodges are available too with either 2 or 3 bedrooms – all offer 5 star comfort and their own private hot tubs. 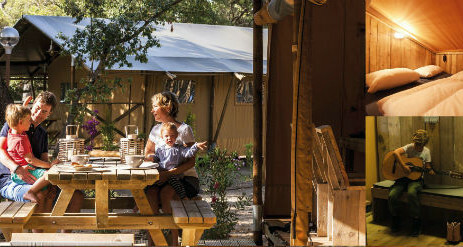 New for 2018 are our luxury Safari Tents – the coolest, must-have holiday for glampers! As well as charm in bucket loads – think retro, stripped-back chic – they offer a fully equipped kitchen, complete with a ready-to-go Picnic Hamper set for days exploring, luxurious bathroom, twin bunk room and your very own four-poster bed…….echoes of ‘Out of Africa’ will cocoon you in this luxurious retreat. A private deck, patio set and picnic table, barbecue and hot tub make this the perfect holiday spot for all the family to enjoy and share memories for years to come. 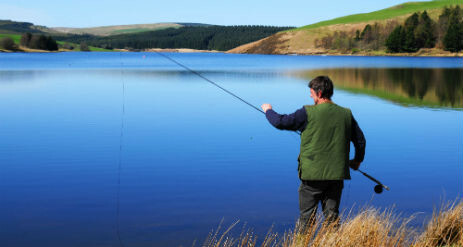 Llyn Clywedog Reservoir – boasts stunning rural views and water-sports in summer months. 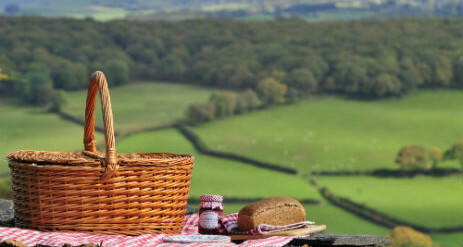 Great picnic spot. The Hafren Forest – the go-to place for walks and bike-rides. A number of trails have been created along the Severn through towering pine and spruce trees. The longest trail is a 7 mile round trip through gorgeous countryside. This will take you to the ‘source of the Severn’. Powis Castle – a medieval castle, fortress and grand country mansion near Welshpool Houses the treasures brought home by Edward Clive of India. Beautiful gardens to explore and events throughout the year. Kerry Vale Vineyard – tour this award winning vineyard, discover our Roman heritage and enjoy the visitor centre and café. Bwlch Nant yr Arian Visitor Centre – sits at the head of a dramatic valley and has commanding views of Cardigan Bay and the Cambrian Mountains. Waymarked trails for walkers, mountain bikers, runners and horse-riders. The Wales National Bird of Prey centre can be found here too with daily feeding sessions of the Red Kit at 2pm daily.